 As an Associate member of the Canadian Council of Christian Charities, Christian Service Centers, the operators of Key Bible Clubs, is committed to handling the finances entrusted to us with the utmost integrity. Christian Service Centers does not, directly or indirectly, pay finder’s fees, commissions or percentage compensation based on contributions (as outlined in our Ethical Fundraising and Financial Accountability Policy). Included in this policy is that we do not sell our donor list for any reason.